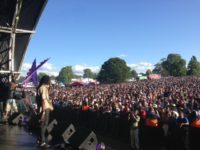 The joy of a professional music stage, international performers, open space in urban London, and 50,000 people all partying together – that’s the annual music field within Lambeth Country Show. A family affair, politics left behind, its all about music, food, a drink and having a real festival time. 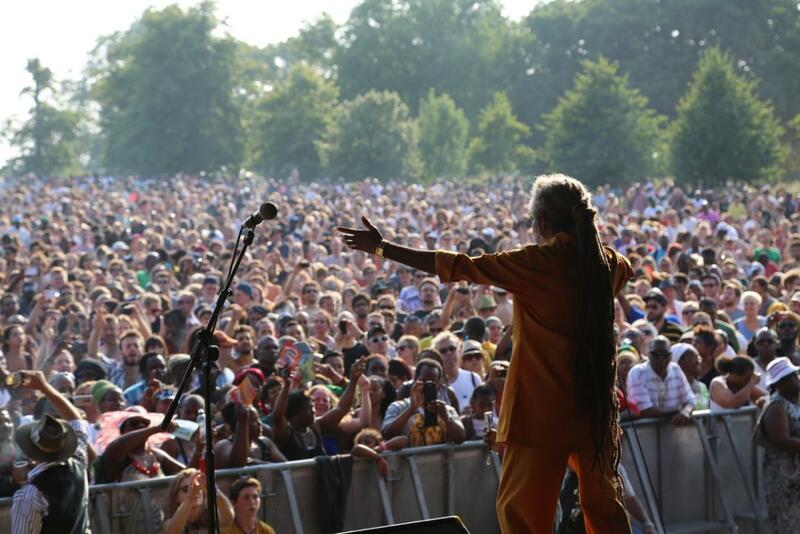 43 years later, and locals to Brixton and international and national visitors join together and make Brockwell Park their home from home for a weekend. 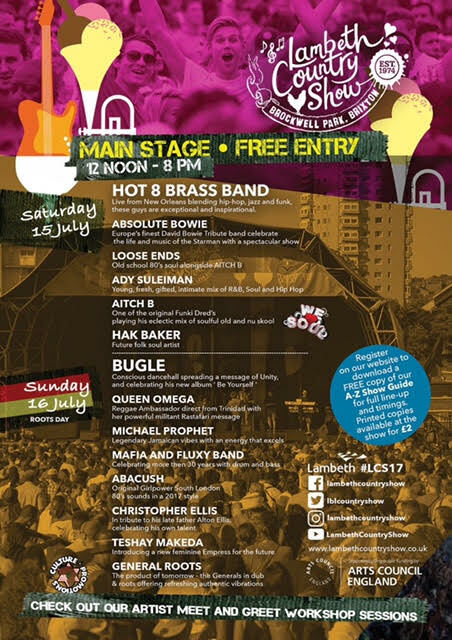 Live from Jamaica Bugle will sing conscious dance hall, in true militant style Queen Omega from Trinidad will bless and inspire, Loose Ends will sing their favourite 80’s dance tunes and a contemporary soul funk Brass Band Hot 8 will just amaze. Its one big celebration in Brixton this coming weekend 15th and 16th of July, complimented by stalls, holistic arenas, children’s fun and frolic, live animals. fashion, jousting, sports, and more. Nothing like it. It’s the honeypot of goodness that calls everyone in. Never a disappointment, Lambeth Country Show is a true community event for each and everyone! 14.00 MAFIA AND FLUXY: Producing music with technology and some history to reggae music rhythm.